Welcome back, everyone. It is an honor to say that today I will be doing a review/presentation of the one and only - the beautiful, talented, and thrilling - Linzi Stoppard. If you've never heard of her, you don't know what you're missing. Forget everything you've ever thought about the violin - and it's players. It's no longer for just for classical music, or little, old men. Linzi Stoppard revolutionizes the instrument. Linzi Stoppard is one half of the internationally-known duo FUSE, the first electric violin artists to sign with a major recording company. Linzi and Ben Lee have performed all over the world together, dazzling audiences with their unique string sounds. They also have their own line of Swarovski Crystal Violins, valued at over $1 million dollars. The duo seeks to show the world that the electric violin can be just as versatile as the electric guitar. They have certainly done a good job proving it so far! Linzi herself has been playing classical violin since she was four years old, and was taught at the Suzuki Violin School. She can also play the piano and clarinet. Her musical success began in her teens, when she was spotted by two music producers. This led to her eventually adopting a more contemporary sound. She collaborated with a variety of artists, adding her own unique sound to various mixes. She forged a successful solo career for a couple of years before meeting up with Ben Lee. Linzi's virtuosity, versatility, and energy have made her a violin superstar. FUSE has already collaborated with others in the rock world, such as Francis Rossi, and Nick Mason of Pink Floyd. They have a long list of various achievements to add to their musical resume that would dazzle anyone. FUSE's YouTube videos have been viewed by millions, as well as their live TV shows. It's important to note that Linzi has also landed her first Hollywood feature film role in, "White Rose", with FUSE playing most of the soundtrack. FUSE's sound is original and captivating. Their style is incredible. They are exactly what the 21st century musical culture needs. Their style is mildly reminiscent of a contemporary string quartet, Bond, though FUSE stands out by fact of electric instrumental use alone. One can hear the classical roots, though quite a few styles have seemed to sneak their way into the unique sound made by FUSE. Being a violinist myself, I simply can't get enough of these new sound. If you love strings, check out FUSE, and/or Linzi Stoppard. You can order their album on iTunes, Amazon and more - if you like what you hear. Also, make sure to look them up on YouTube, and find out when FUSE is coming to a city near you! Well, another semester is drawing to an end. If anyone wonders just WHY I have been missing for an extended period of time, I've been back and forth between playing working girl, and playing student. As many of you know, I am a student at Berklee College of Music. The previous/current semester is drawing to an end. Beginning July 1st, I will be taking summer courses. No taking time off this year. Today I will be doing a review Earshow, a rock band from Indiana. Check out their music here, and be sure to enjoy the review! "Earshow originally formed in 2002, with their first release “Monument” coming the following year. The guys have been friends for decades, forming many different bands before and during the current project. No shortage of solo or side projects, creating has never been a problem, its always been about the songs. The band has amassed a huge backlog of material and hope to keep making magic in the studio, playing live and balancing their day to day lives." 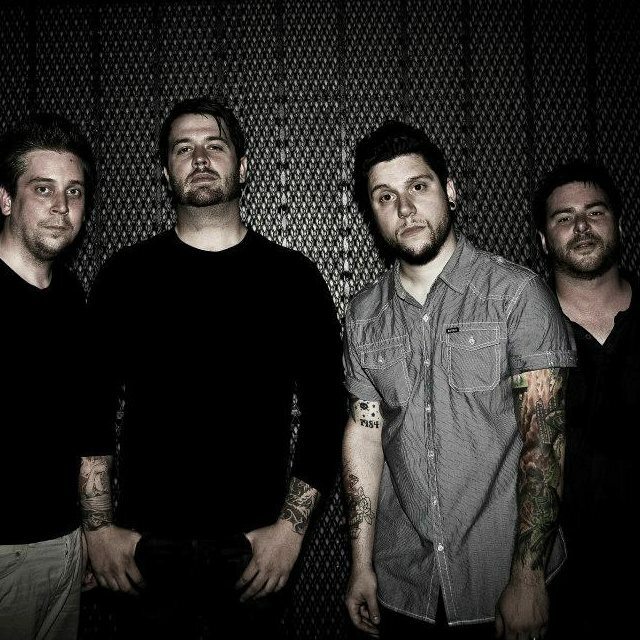 They were founded in 2002, and are with Otis Records. 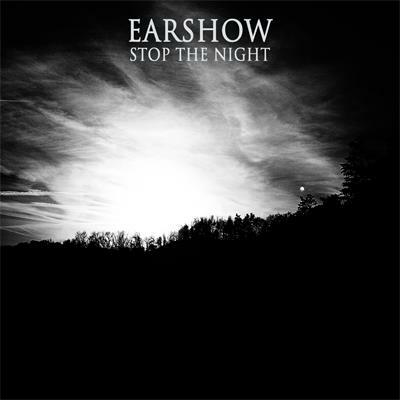 Earshow has recently released a new album, entitled 'Stop the Night', including tracks such as 'Standing', 'Stop the Night', 'Never Again', and more. Each track is recorded with excellent musicianship stellar vocals, and energetic, incredible performance. The variety within the instrumental selection, the craftsmanship of the lyrics, and the need to dance along are also definitely worth mentioning, as well. They're like listening to a familiar old friend, combined with curiosity, and sheer entertainment. Besides studio recording, the band also puts on an incredible live show. They plan to be adding tour dates for 2013 soon to their website. MissTainted here with another artist review. Today, I will be reviewing the music of Arenas, a hip-hop artist from Northern California. Check out Arenas here, and be sure to enjoy the review! "Arenas is a Bay Area native, currently residing in the suburbs of Sacramento. From humble beginnings at an Oakland-based indie label in 2007, to west coast music pioneer Mr. Sef's 'Go Get It Records' imprint, Arenas has been working to shape his sound." 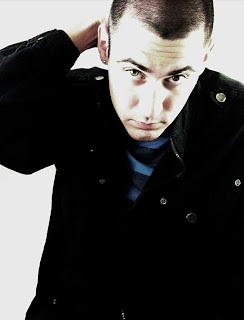 Arenas is a hip-hop artist from Northern California, with Go Get It Records. His current record is, "ORBIT: The Rotation". Orbit is available for free, and is all original content - most of which has been produced by Arenas himself. Arenas has been collaborating with some great artists from the bay area, such as Du Damage, Mr. Sef, Damey, and more. Arenas' music is high quality, speaking of terms in production, performance, and lyrical quality. His voice is clear. His vocal energy and lyrical flow are both what makes him a talented, unforgettable artist. The consistency of Arenas music rivals major label artists, and anyone could see that he's going places. Unlike many indie hip-hop artists - his voice and message come through loud and clear. The vocal annotation and pronunciation certainly doesn't fall short. His songs are catchy, and a worthy addition to any hip-hip lover's collection. Get 'ORBIT: The Rotation' here today. Hello, everyone - MissTainted back with another music review. Today, I'll be reviewing the music of System Fade, an electronic music producer from Port Richey, Florida. Enjoy the review, and be sure to check out the music of System Fade here. As stated before, System Fade (Justin Beck) is an electronic music producer from Port Richey, Florida. System Fade is independent - without a label. He lists his influences as Skrillex, Deadmau5, Seven Lions, and The Glitch Mob. System Fade's most recent project is recently released 'Departure'. While I'll mostly focus on that in the review, I will mention other music by System Fade. My favourite song from this artist (which I've already listened to four or five times now) has to be 'Initial Exposure', from 'Spiral'. I can't get enough of the use of strings on this song. A few of the songs from 'Departure' are 'Diamond', 'Departure', 'Coward', and 'Curtains'. The songs feature a vocalist - Veela. In 'Departure', System Fade stays true to an electronic, abstract, chill style with powerful, mind-blowing beats, while also focusing on the use of a consistent vocalist. The creative ways in which he has manipulated and used her vocals in 'Departure' are nothing short of a stroke of genius. The dub-step sounds blended into the songs of 'Departure' make for a great and unique sound. As a string player, I also can't help but love the particular string sections on 'Curtains' and 'Diamond'. The music of System Fade is steady, consistent, creative, fulfilling to the ear drums, curious, and marvelously well-crafted. This is production skill at it's finest here. System Fade is certainly one to keep an eye on for the future. Check out the music here! Hello, guys. MissTainted back, and I'm here to bring you some more great, new music. Today, I will be reviewing the music of True Holland, a pop rock band from Seattle, Washington. Check out their music here, and check out the review below! True Holland formed in 2010, in Gig Harbor, WA. After teaming up with producer Casey Bates, the band released an EP in 2011, and then began touring nonstop. Because of this, they have developed a loyal fanbase. They pride themselves in playing an all-original set and not playing covers. They also hope to release new material in the upcoming year. Upon first listen to the band - and watching the extremely professional music video for 'Heavy' - I am surprised I do not hear them everywhere. Their sounds are of the highest quality - production-wise speaking, of course. It's always great to see a band put together an album of music that is not just crafted professionally, but recorded professionally, giving a better sound to what is already great. The vocals of Brandon Eisenbies are clear, and he does a great job at bringing the lyrics to life. The lyrics and tunes are quite catchy, though not annoyingly so. The musicians of True Holland certainly know what they're doing. The musicians almost seem to play flawlessly, true professionals at what they do. They rock, simply put. They rock. Their sound will reel you in, and keep you begging for more. You will break the replay button. Though they rock out hard, not hard enough to lose people, their message, and their meaning in the shuffle. Check out True Holland today! Hello, everyone. MissTainted back with another artist review today. Today, I will be reviewing the music of Soul Sanctuary, a 6 piece heavy metal/metalcore band from the UK. Click here to check them out, and enjoy the review! Founded in 2008, Soul Sanctuary has made an impact in the musical world from the beginning. They have been heavily influenced by bands such as Pantera, Bullet for my Valentine, Linkin Park, Slipknot, and more similar. Being a big BFMV fan myself, I can certainly hear that influence. 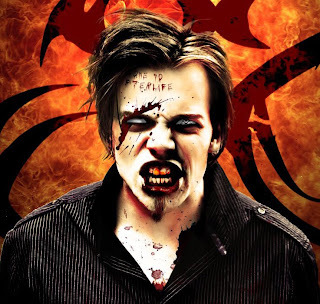 Their debut album 'Afterlife' was released Halloween of 2009. The band self-produces and even releases on their own label, Forsaken Memory Records. In 2011, they followed up with the single 'Lest We Forget', in an effort to raise money for the victims of the Earthquake that struck Japan. The band has consistently supported charities and helped out. They are working tirelessly on an upcoming release - I have no doubt it will be completely awesome - and utterly addictive! Not only is the music of Soul Sanctuary professional sounding (as in professionally recorded with a clean and clear, high quality sound), but the songs themselves are crafted with a high level of music skill. It's easy to tell from one listen that these guys are gifted at what they do. The music of Soul Sanctuary can rock out side by side against any of the metal/rock legends that I know of. These tunes make you want to turn the volume up and listen over and over and over. At present moment, I am on my third listen through, 'Heart Attack'! Everything about the band and their music keeps you pressing that repeat button. Their energy. Their lyrics. Their style. And not everyone can scream that well, either! A good scream is highly pleasant on the metal lover's ears. Check out the music of Soul Sanctuary today. You certainly won't regret it.